Dr. McComb graduated from University of California, Davis, with a B.S. in Biology in 2001. He then worked for the Scripps Research Institute in La Jolla, California, for a year before entering dental school at University of the Pacific, School of Dentistry (UOP). He graduated from UOP with Honors in 2004. 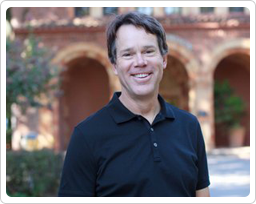 Dr. McComb began his dental career in Elk Grove, California, where he worked as an associate for five years. 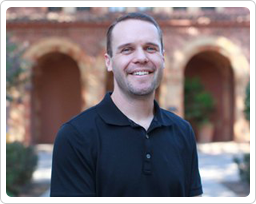 He and his family then moved to Chico in 2009 to practice general dentistry at Chico Dental Care. He is a member of the American Dental Association (ADA) and the California Dental Association (CDA). Dr. McComb attends the continuum of advanced coursework seminars in general and cosmetic dentistry at the Spear Institute of Dentistry in Scottsdale, Arizona. In his spare time, he likes to golf and enjoy the outdoors with his family. Dr. McComb is married to Julie, and they have three young children, Luke, Audrey and Noelle. Dr. Jewett graduated from the University of the Pacific, School of Dentistry, in 1983 with Honors and practiced general dentistry until 2009. Dr. Jewett has been placing implants since 2003. He also performs root canal therapy and surgically places implants for missing teeth and denture support. Dr. Jewett is a long standing member of the American Dental Association (ADA) and the California Dental Association (CDA). Additionally, he is on the CDA Peer Review Committee and has achieved Fellowship in the Academy of General Dentistry. Prior to practicing dentistry, Dr. Jewett also earned a Pharmacy Degree (Pharm.D) from University of the Pacific, School of Pharmacy in 1980. Recreationally, Dr. Jewett is an avid cyclist and loves to snowboard in the winter months. Dr. Jewett's wife, Terry, works as a speech therapist and they have two children, Brady and Lily. 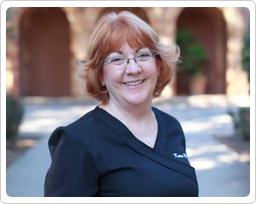 Karen has been a hygienist since 1975 and joined the office in 2004. In her spare time, she likes to babysit her grandchildren, volunteer at church, read, and watch PBR (Professional Bull Riding), football and Chico State Basketball. Rachel joined our office in 2017. Before becoming a hygienist, she worked as a registered dental assistant for seven years. 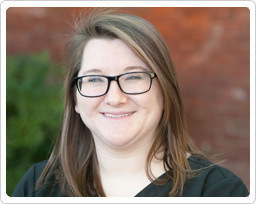 Rachel is passionate about providing high quality dental care to her patients and always strives to give them a comfortable and enjoyable experience. Rachel was raised nearby in Orland. In her spare time, she enjoys traveling, spending time with friends and family, hunting, fishing, and playing with her two dogs. 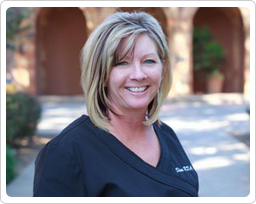 Sheri has been a Registered Dental Assistant since 1995 and joined the office in 2009. In her spare time, she likes to ride horses with her husband Terry and their grandchildren. She is an expert trainer of barrel racing horses. 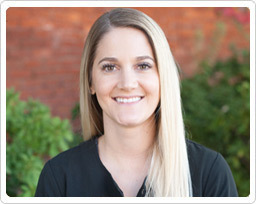 Bree received her RDA and started working at Chico Dental Care in 2014. In her spare time, Bree likes to spend time with her husband and two sons, especially watching her sons play baseball. She also likes to read and garden. Melissa joined our office in 2014. 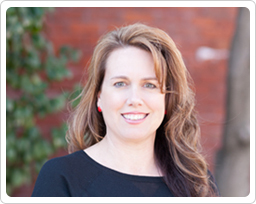 She started her career in dentistry as an RDA in 2004, then transitioned to the management side of dentistry in 2007. In her spare time, Melissa loves to bake, garden, and helps run a local animal rescue. She also loves to spend time with her fiance Brian camping, fishing, and visiting their 3 grown children. Jessica was an ROP (Regional Occupational Program) intern at our office in 2017 and impressed us so much we hired her as our Patient Care Coordinator in 2018! 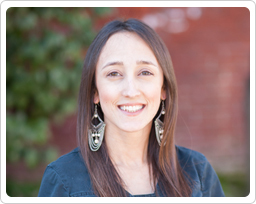 Jessica is a Registered Dental Assistant and is also finishing an accounting degree at Butte College. She was raised in Magalia and likes to hike and spend time with her family. Jessica also likes to spend time with her rescue puppy, Tucker. 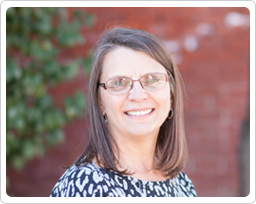 Sue joined our office in 2012, bringing with her over 25 years of experience in dental practice management. In her spare time, she loves traveling with her husband Mike, watching her grandchildren, gardening, and cheering on the San Francisco Giants.